Orpheus Underground, created for the Treasury Tunnels beneath the Adina Hotel in the centre of Adelaide, invites intimate audiences to join Orpheus and Eurydice’s wedding party. They are greeted with glasses of champagne and included in the reception chatter like old friends, before joining a toast to the bride and groom. As the story unfolds, the audience venture further into the tunnels with the singers and musicians, following Orpheus on his quest to recover his beloved Eurydice from the underworld. All pay a token to Charon to cross into the underworld, a third space deep below the surface where Eurydice resists Orpheus’s pleas and finally returns to her new abode, to the strains of Carol Ann Duffy’s poem Eurydice and Vaughan William’s beautiful art song Orpheus with his Lute. Other music is by Monteverdi, Peri, Gluck and Pergolesi, accompanied by archlute, with additional poetry by Rainer Maria Rilke. Performed by Bethany Hill, Cassandra Humble, Kate Macfarlane, David Hidden and David Cox, with Andrew Byrne on archlute. 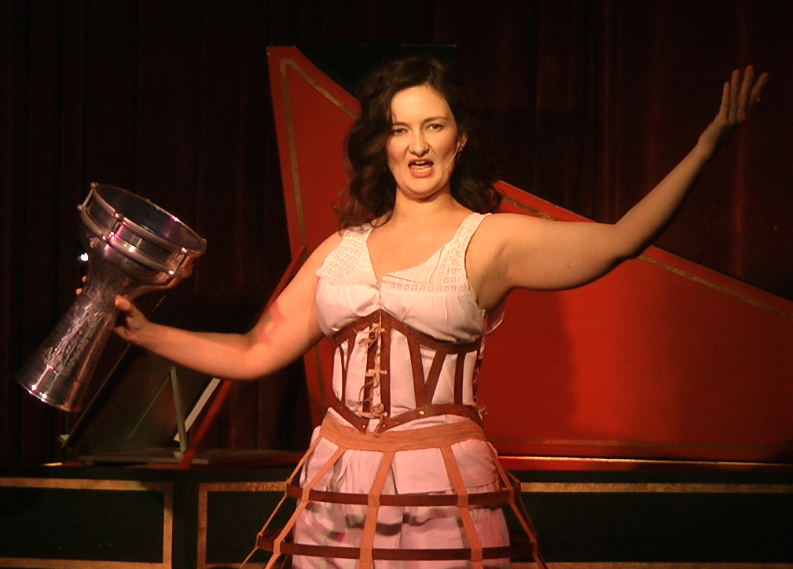 La Virtuosissima Cantatrice is a ‘Baroque cabaret’ created by Cheryl Pickering for Baroque specialist and captivating singer/actor Kate Macfarlane. LVC tells the stories of extraordinary women in the world of seventeenth century Florence and Venice in music of passion and fire, and honours a time when a woman choosing to sing was an act of defiance against her society. Performed by soprano Kate Macfarlane with Glenys March on harpsichord. An actor, a singer and a pianist journey into the curious world of eccentric French composer Erik Satie coaxing musings and music from his piano and paraphernalia. By turns humorous, surreal and deeply moving, the show is an affectionate tribute to one of the fathers of cabaret. Instructions for an Imaginary Man interweaves song, physical theatre and projection in a spellbinding glimpse into the experience of prisoners of conscience. Two singers, an actor, a pianist and a string quartet evoke the words of poets from all corners of the globe. Theatre that truly removes you from one’s comfortable world and places you in that of the production is rare and this aspect was a triumph. In partnership with State Opera of SA, Tutti Arts and Cirkidz, Various People Inc created a circus-based Magic Flute with a kaleidoscope of colourful characters, warmth, humour and downright fun. Performed by Robert Macfarlane, Andrew Turner, Deborah Caddy, Naomi Hede, Joanna McWaters, Alistair Braested, Jayne Hewetson, Kate Macfarlane and Simon Follett, with the Tutti Choir & Performing Arts Ensemble, Cirkidz Livewirez and musicians Richard Chew, Lyndon Gray & Jarrad Payne. Director Cheryl Pickering has achieved an amazing balancing act and delivered a genuinely entertaining show that should put a smile on anyone’s face. Renaissance anatomy and the Catholic mass for the dead collide in this spectacular piece of choral theatre. Two morticians and a pathologist examine the body of a drowned man. In the process of dissecting the corpse, they begin to re-invent his history. Fragments of text and music weave in the air like incense as the audience is drawn into the clandestine ritual of the autopsy. 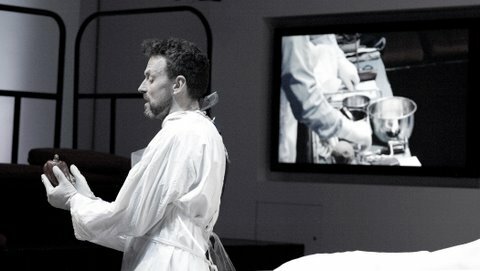 Vesalius: A Requiem was first performed in London at the Old Operating Theatre Museum in 1996 and was a winner of a Barclay’s New Stages Award. The show toured to Teatri di Vita, Bologna, in 1998. The June 2010 performance in RiAus, The Science Exchange in Adelaide, was its Australian premiere. A witty, charming and unusual evening. Scholarly, artistic, theatrical, funny, tender. The Shouting Fence is a choral theatre work highlighting the experiences of communities in the Golan Heights, separated by wartime land annexations. On Friday evenings the villagers gather at the boundary fence and shout their news across No Mans Land through megaphones. The Shouting Fence asks the audience to become the ‘barrier’ between two choirs. A children’s choir, professional singer/actors and two percussionists lead the two community choirs. with choir members from Adelaide Harmony Choir, Tutti Ensemble, Sudanese St Bhakita Choir, Adelaide Secondary School of English, Big Country Choir, and participants from Families SA Refugee Services.